The Zoom engineering elves have been hard at work! You’re going to feel like it’s your birthday when you see what we created in our latest product update. We’re mixing our special occasion metaphors here, but needless to say, we’ve created some incredible new features that you’re going to love. Learn more about the updates by reading below and then be sure to update your Zoom mobile and desktop clients! Audio wizard: Zoom has the fastest join times in the industry, and we’re always striving to make it as easy as possible to join meetings. We’ve noticed that we can help some users join audio quicker. Sometimes you’re not connected to any audio source, sometimes you’re connected to the wrong audio source, sometimes you’re connected to the right audio source but it’s not plugged in or is on mute. We want to remove the friction! So we’ve created a helpful little bit of software that will guide you through your audio set up when you start a test meeting. Audio quality: Zoom has made ongoing improvements to our audio quality. We have highly effective background noise cancellation already and are continuing to work to perfect this feature. Share a portion of your screen: Zoom already lets you share your desktop or a single app. BUT what if you want to share multiple apps, but not your entire screen? Can a girl get a little privacy? Well, now you can! When you screen share on your Mac or Windows PC, you will now have the option to select a rectangular portion of your screen to share. Share computer audio only: Zoom is the only service that lets you screen share video with audio, but until now you couldn’t share only audio. Now you can select to just share your audio by clicking “Computer Sound Only” on the advanced share tab. Go ahead, give your meeting or webinar a little background music! Global Relay chat archiving: For customers of Global Relay, Zoom has worked with this leader in electronic archiving to archive Zoom Chat messages in their system. 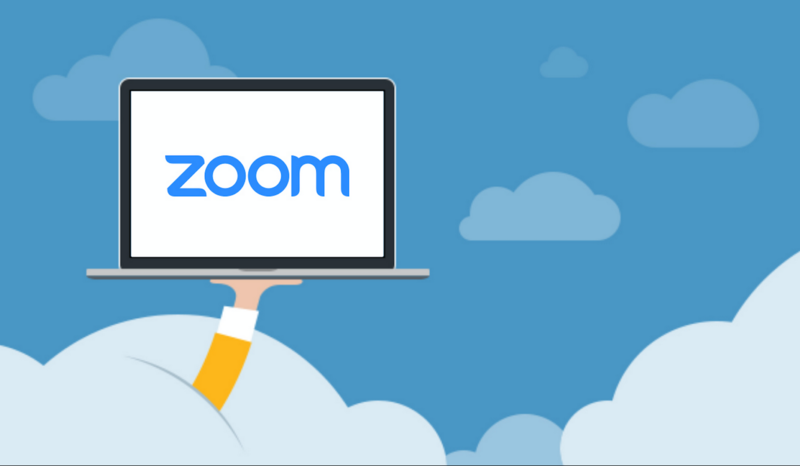 Zoom already has free cloud chat archiving (up to 10 years, must be enabled in Zoom admin portal), but for those who wish to have their chats archived along with their other electronic communications in one interface on Global Relay, this is an ideal solution. The account admin must enable this feature in their Zoom portal. Chat archiving is particularly useful for finance and insurance firms that have to keep records of messages for compliance and regulatory purposes. Screenshot annotation: When you send a screenshot via Zoom Chat, now you can annotate it before pressing send. This is now available for Mac, and is coming soon for Windows PC. Presence “away” status: Mark your status as “away” on Zoom Chat, resulting in a gray clock indicator that lets your contacts know that you can’t be disturbed right now. This feature is available for desktop. Calendar integration on mobile: Your iOS or Android device will now send you a push notification from your Zoom app whenever you have an upcoming Zoom meeting. Waiting room bulk admission: Previously you had to admit your Zoom virtual waiting room dwellers to your meeting one by one. This is fine for education office hours and HIPAA-compliant medical settings, but wasn’t ideal if you wanted to use your waiting room as a holding space for everyone before you admitted them en masse to the meeting. You can now press “Admit All” to admit everyone in your waiting room into the meeting at once. Zoom Video Webinars public Q&A: Our webinar Q&A has functioned as a one-way experience where panelists can answer viewer questions. Now you can increase audience engagement with public Q&A. This feature, which is off by default (to be enabled by the webinar host), allows all attendees to view and answer questions, as well as upvote their favorite questions for the panelists to answer. To access these awesome new features, update your Zoom client and app now. Sign up for a customized 1-1 demo to see these new features and everything Zoom.